Hmmm gud fine ,but 1 wonder if these features r gonna be out for da 360 2,i guess only time will tell .. It is rumored that the 360 version will have 2 discs. First half on one second on disc 2? 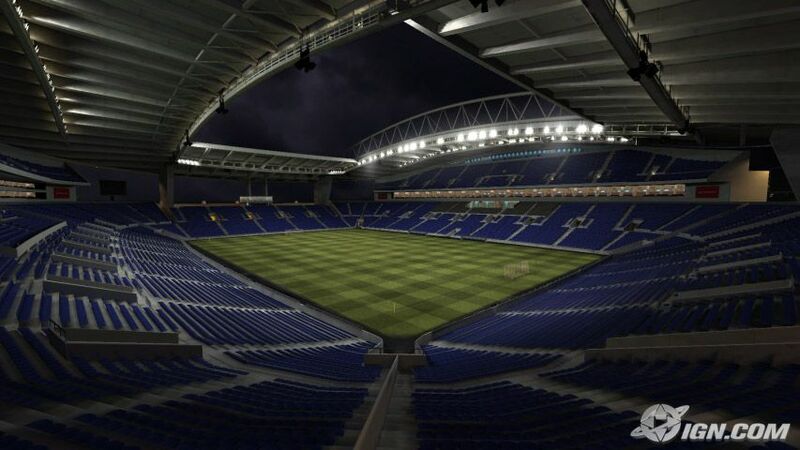 Could we be seeing a Stadium Builder? Looks that way! " The GAME 11 Japanese forums has provided us with further speculation regarding the release date of the highly anticipated PS3 Winning Eleven. The post was made today and has some interesting details about the game which is M.I.A. from the public eye. "³”F‚Ì——R‚Ìkonami ‚Ì‚½‚ß‚ÉŸ—˜11 ƒQ[ƒ€ps3 ‚Ì”ÅV•·”­•\9 ŒŽ6 “úkonami. "Because of Konami of reason of approval edition news release September 6th Konami of victory 11 game PS3. The fact that it has come from source while trying many license news that for the edition of soccer of the world it is, it can obtain the news which comes from the people of Konami of the thing which is released very. I verify source of information, offer." From the translation, we identify the source is informing readers of a September 6th release date for the PS3 version of Winning Eleven. We also believe the source is highlighting that Konami are trying to gather as many licenses as possible for the game prior to release. The GAME11 forums are a very reliable source and have proven so over the years. A September release date in Japan wouldn't be too bad but most fans were expecting an August release. Stay tuned for more info as we get it. 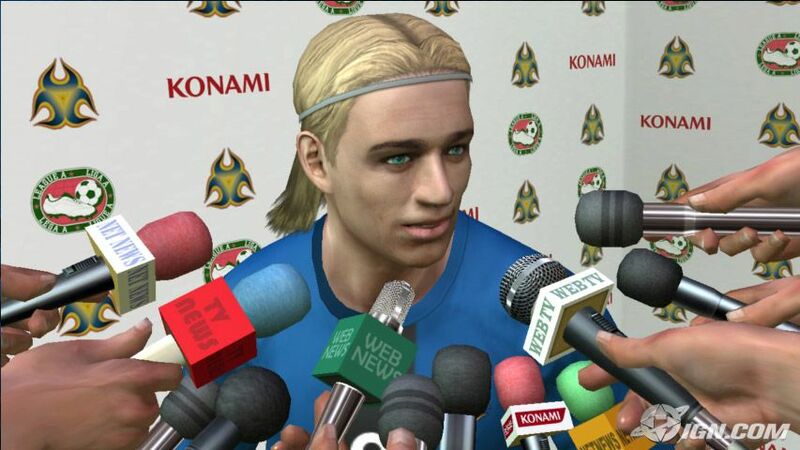 UK, June 18, 2007 - Konami has lifted the lid on the first details for the next Pro Evo game and has promised that it will be "the closest simulation of real football to date." Pro Evolution Soccer 2008 (working title) will be released on PlayStation 3, Xbox 360, PC, PS2, PSP and DS later this year and boasts what Konami is calling "a revolution in player artificial intelligence" -- dubbed Teamvision, which enables the opposition to learn your style of player and adapt their tactics accordingly. According to Konami, Teamvision will totally change the way PES fans play the game, because the adaptive AI forces players to constantly rethink their tactics. So, for example, if you prefer to run the ball down the wing and knock in a cross to a tall centre forward like Peter Crouch, your opponent will quickly change their tactics to close down the wide players and mark your hitmen more heavily. Similarly, if your favoured method of defence is to protect the back four with a sweeper -- then the other team will quickly pick up on this and change their attackers to take advantage of your formation. Naturally the effectiveness of an opponent's change in tactics depends on the team they're playing as: strong international and club squads will be able to counter your tactics faster and more effectively than less skilled clubs, although players will still notice the change in their opponents play if they resort to using the same channels of attack. Likewise, powerful teams can also punish lazy tactical play to devastating effect, so if you lose the ball in your half to Robbie Keane there's a good chance he'll score. However, lose out to a less proficient striker and the odds of them converting the shot are less favourable. The improved AI changes the way the game is played almost on every level, forcing players to take a much wider view of the game and real use the full width and breadth of their team. As such the pitch scanner plays a much bigger part in the game because it enables players to pick out openings in the defence (if they're skilled enough, obviously) and thread a ball through to an advancing attacker. Teamvision affects set-plays as well as free play too. Cheap free kicks are a thing of the past because the opposing defence will close down runs faster, which prevents players from passing a ball into the box and tapping a shot in from short range. Naturally there are times when you will scorean easy goal, whether it's from a well-worked passing move or a fizzing direct free kick, but the enchanced AI now means players must think more if they want to consistantly win. Other improvements promised for PES 2008 includes improved greater close control, so there's more scope for skilled dribbling, tricks and neat inter-player passing moves. Setting up a free-kick isn't quick as restrictive either, whether you're defending or attacking. You can change the number of players in the wall if you're defending or, if you're on the attacking, plan runs more intricately and position specific target men for the kicker to aim for. However, the most noticeable improvement PES 2008 will offer over its predecessors (apart from Teamvision of course) is the graphics. 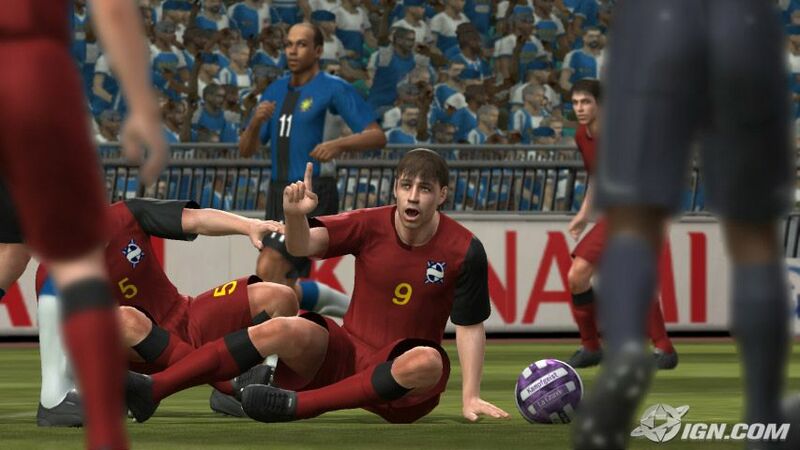 Konami promises it will be a true next-gen experience, so there will be proper facial animations, shirt pulling and kits that flow and crease as the players run around. Watermarks from sweat and rain appear as the game continues too, bringing the player that bit closer to the action than ever before. All next-gen versions will feature a fully functional edit mode too -- something that was sorely lacking from last year's 360 version of PES 6 -- so players can create there own team and or edit existing ones. As yet there's no word on which licensed teams will feature or indeed what online modes we can expect.